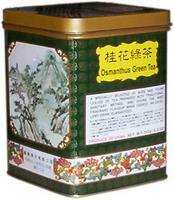 A specially selected of buds and young leaves of tea prepared with traditional sanitary method. And giving the most fragrant flavor when cooked. And excellent drink guaranteed. * %DV are based on a 2000 calorie diet. Your daily value may be higher or lower depending on your calorie need.